23 May 1931 is born in Chicago, Illinois. Her father, Merrill Devon, an automotive engineer, is of Swedish, Scotch, and Irish descent; her mother, of Dutch descent. 1954 her son, Kevin, is born in Detroit. He will become screenwriter Kevin Jarre. 1961 Bob Goldstein of 20th Century-Fox hears her sing at the London Chop House in Detroit and invites her to Hollywood for a screen test. In 1964, she'll tell: "I had an agent who told me Universal-International was also interested in me. He took me there for a test and they signed me to a contract right off, so I never got around to 20th. For a full year at Universal-International I was never put into a picture. I had voice, dancing, and acting lessons, and the studio paid the bills. It was like being totally subsidized with nothing to do but study." 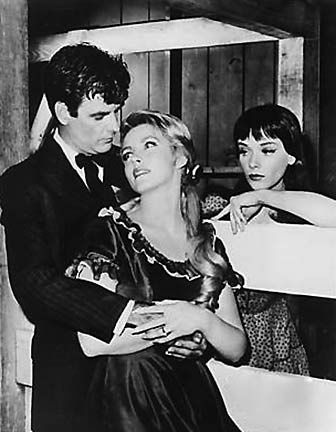 December 1961 is expected to marry young actor Brian Kelly during the week of New Year. 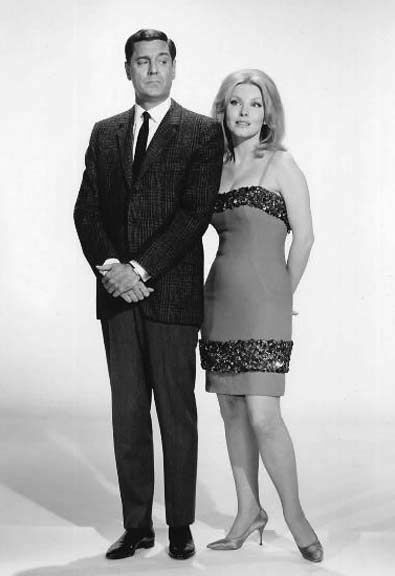 The press tells: "Their romance began in Detroit but was interrupted when Brian first came to Hollywood. They saw each other on occasional trips, but they both dated others." 23 June 1962 as Mary L. Clark, she marries TV actor Brian J. Kelly at Blessed Sacrament Roman Catholic Church in Hollywood. Both are 31. The press gives his age as 29 and hers as 23. Afterwards, they are off on a three-week Honolulu honeymoon. 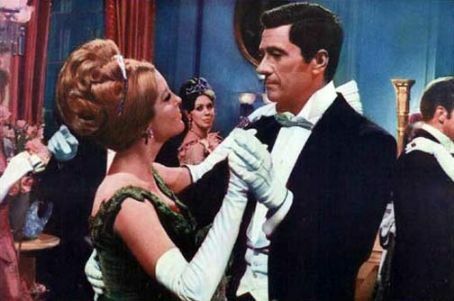 1963 - 1964 is part of the ensemble cast for "The Richard Boone Show"
November 1963 Vincente Minnelli sees her in "The Fling," a segment of "The Richard Boone Show," and offers her a part in Goodbye Charlie. The bosses at 20th Century-Fox ask her to sign a contract for seven pictures, but she gives them just two. 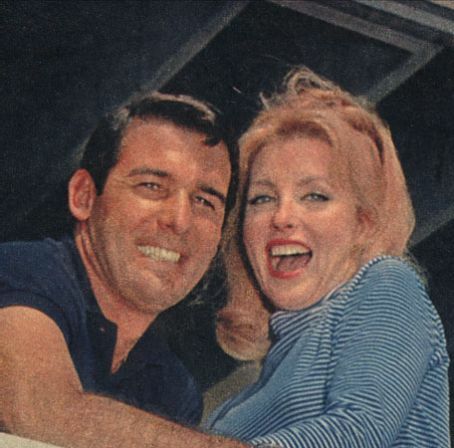 January 1966 divorces Kelly in Los Angeles. He will die at age 73 in 2005 in New Jersey. June 1966 Carroll reports: "While he's been in Florida for the "Flipper" series, Brian has been dating the Thailand beauty who won the "Miss Universe" contest. He and actress Laura Devon still are going ahead with the divorce." 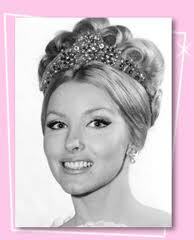 November 1967 is expected to marry composer Maurice Jarre, the ex of actress Dani Saval, any day. They are house hunting in Beverly Hills. Late December 67 Harrison Carroll knows: "Just as friends predicted, actress Dany Saval and Ed Garner beat Dany's ex, Academy Award winning composer, Maurice Jarre, and Laura Devon to the altar. They eloped to Las Vegas and were married after midnight at a wedding chapel." 30 December 1967 as Mary L. Kelly, she secretly marries Maurice Alexis Jarre at the Wayfarer's Chapel in Palos Verdes Estates. The only guest at the ceremony is the maid of honor, her sister, Patricia Briley. The press claims that it's the second marriage for both. He's 43; she's 36. The press gives his age as 32 and hers as 26. They reside in Beverly Hills. French-born Jarre began his international career at the age of 16 not even knowing how to read music. He studied composition and conducting with Louis Aubert, Arthur Honegger, and Charles Munch, and teamed with Pierre Boulez for four with the Jean-Louis Barrault Co. Jarre has a 2-year-old daughter from his marriage to Saval and a 19-year-old boy from a former marriage. 14 March 1984 divorces Jarre in Los Angeles. He will marry 30-year-old Fong F. Khong in December 1984.